Mercure Oostende is the ideal hotel if you like shopping, beaches, and gastronomy. The hotel is located in the heart of Oostende and the Oostende-Brugge International Airport is 5km away. We offer paid private parking, modern rooms and free WIFI. 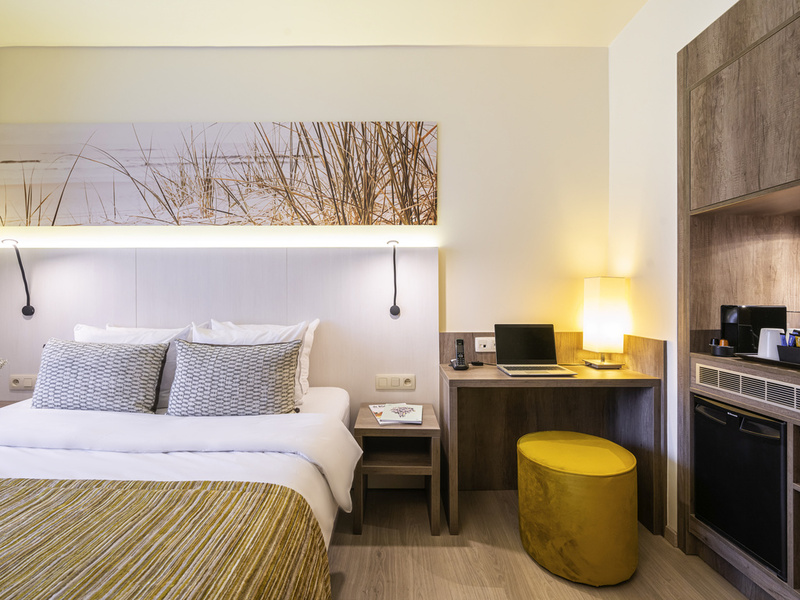 Drop your bags and relax at Mercure Oostende. Situated in the city centre near Ostend Airport and the train station, we offer the ultimate convenience with our location. Enjoy nature at the Belgian seaside, which is only 250 metres away from the hotel. Ou r lounge bar is the perfect place to meet up with friends, family or colleagues. Discover our seasonal menu in our restaurant. Private paid car park is available at a location nearby, reservation is recommended. Mercure Oostende is conveniently situated in the city centre of Ostend near Ostend Airport. Located within walking distance of several bus stations which could easily take you to other cities or to the nearby train station. Whether you choose the Standard, Superior or Privilege Rooms, all of them offer a welcoming and modern atmosphere. The rooms are equipped with air conditioning, a telephone, a laptop safe, TV, USB charge point and a fridge for your convenience. Our restaurant offers a great selection of food in a relaxed, informal setting. For groups we can serve a buffet dinner or buffet lunch on request. Meet up with friends, family or colleagues in our lounge bar. Our bar offers promotions throughout the year.